Miss Tanya has been studying the art of dance since the age of three at various studios in the Massachusetts area. She has trained with some of the most prestigious teachers including the late Frank Hatchet and Gregory Hines, Bob Rizzo, Mia Michaels, Wade Robson, Brian Friedman, Dave Scott, Chris Judd, Laurie Ann Gibson and Tabitha & Napoleon. She is a member and graduate of Dancers Masters of America 4 year Teacher Training School at the University of Buffalo NY and continues to further her education by attending workshops including Broadway Dance Center Teacher Training in New York City, The Pulse in Atlantic City and Boston Mass. and Monsters Of Hip Hop. This allows her to bring new and exciting choreography and the latest dance craze to further educate your children. Miss Tanya has performed and competed in Las Vegas, Bermuda, New York City, Orlando Florida and on the Norwegian Majesty Cruise Ship. She is Lead Instructor and Artist Director of her award winning competition teams that have won many special judges awards, high scores of the day, solo Titleist and Choreographer awards. 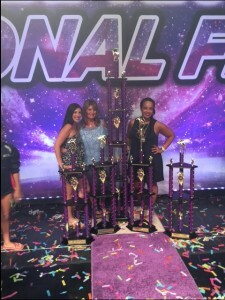 Miss Tanya Miss Tanya has received numerous prestigious awards including ADA Diamond Choreography, Dance Explosion Excalibur Award, Beyond The Stars Stellar Award, In10sity Challenge 1st Place Over-All Award, Bravo High Point Award and many more. She continually works hard to develop technically trained dancers that have been accepted into many prestigious dance programs. Miss Tanya also choreographed the National Competition dance for the UMass Amherst Dance Team. In 2014 her competition team traveled to Walt Disney World in Orlando Florida to perform at the Premiere Theatre in Hollywood Studios and dance in the parade at Magic Kingdom and Hollywood Studios. This past July Miss Tanya traveled to Atlantic City with her competition team to compete their love for dance at a National level. There were 42 dance studios from all over the country and 1037 routines performed during the week. Miss Tanya is proud to announce that her team are the 2016 Beyond The Stars National Champions winning the highest award of the entire competition the "Stellar Award". Miss Tammy has been involved with the art of dance for more than 30 years with her daughter Miss Tanya. 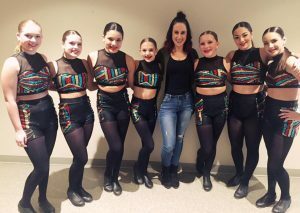 She had been the Director of Dance at a successful studio in Massachusetts for five years and had decided it was time to venture out on her own with her daughter by her side and they are now entering their Thirteenth season. She is the business mind behind the scenes,coordinator of class schedules and events. Tammy is proud to offer you the most qualified instructors at Miss Tanya’s School of Dance. Miss Kiera has been a part of the wonderful world of dance since the age of 3. She trained at Helene Joy School of Dance under the instruction of Patricia Lerman and Helene Chapman where she studied Ballet, Tap, Jazz, Hip Hop, Lyrical, and Contemporary. In May of 2014 she graduated from Fitchburg State University with her Bachelor in Science in Interdisciplinary studies with a minor in Biology. Although she is proud of her degree her passion is with dance. Kiera has taught classes at several studios in the North Shore along starting and choreographing for the Beverly High School Dance Team. 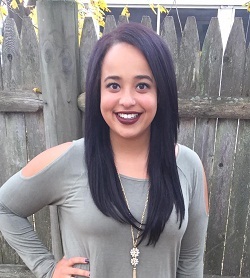 She also choreographed and danced for the Fitchburg State University Dance Team. She has been competing in regional and national competitions since the age of 8. She has taken multiple classes from Phunk Phenomenon, Sarah Jo-Fazio, Tamara Squires, Brian Friedman, along with many others. Kiera continues to further her education by attending workshops such as Shock, Monsters of Hip Hop, Artists Simply Human, Nuvo, and several others. In the summer of 2015 she attended The Pulse Annual Teacher Workshop in New York City. Here at Miss Tanya's she plays a major role in the competition teams. Her award winning teams have won many high scores, entertainment awards, special judges awards, and Technique awards at both regional and national competitions. Recently in the spring of 2016 she was awarded Outstanding Choreography at both Dance Xplosion and Bravo! Kiera is proud to be along side such a talented staff here at Miss Tanya's School of Dance. Miss Julia started her dance education at the age of 3 at a local studio in Fitchburg, Massachusetts. By the age of 6, Miss Julia was studying Ballet, Jazz and Tap and began competing nationally, winning multiple 1st, 2nd, and 3rd place awards for solos and received many scholarships to national workshops. In 2003 Miss Julia advanced her development in Ballet by studying with The Boston Ballet in Newtonville, Massachuesetts. In 2008 she was a student at the Acton School of Ballet in Acton, Massachusetts. Miss Julia has taken multiple classes from Mia Michaels, Brian Friedman, Chris Judd, Laurieann Gibson and Dave Scott, all from "So You Think You Can Dance," and has taken a class with Victor Smalley from "Dance Moms Miami." Miss Julia loves all genres of dance including Jazz, Tap, Hip-Hop, Contemporary, Ballet, Pointe and Lyrical. Miss Julia continued her dance education and competition experience at Miss Tanya's School of Dance and began her teaching career as a substitute instructor at Miss Tanya's School of Dance and other local studios. In 2012, Julia performed hip-hop as a back-up dancer for pop hits singer and songwriter of Boston, Massachusetts, Melissa Jane. Miss Julia is a past member of Shadows Dance Art Experience professional dance company that rehearses in Worcester, Massachusetts. With them she was a Core Junior Company Member and Promotional Model Team Member. As a member of Shadows, she has attended, worked and performed at numerous events such as "The Anarchist Society of Shakespeareans Dead Pony Party" roaring 20's gala put together by 3 Rivers Arts and Shadows was also in charge and apart of a televised flash mob held at Union Station in Worcester, Massachusetts. 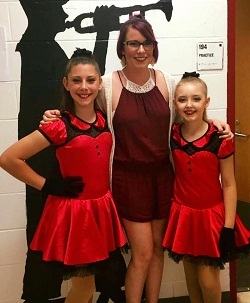 Miss Julia has hosted several master classes with Artistic Director, Alyssa Zak and Rehearsal Director Marcia Cloutier of Shadows Dance Art Experience. After many years of studying and performing dance, Miss Julia decided to share her love and talent with students that are eager to learn. Miss Tanya's School of Dance is very happy to have her as one of our valued instructors. 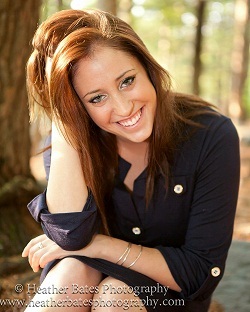 Miss Brittany is 24 years old, originally from Worcester, MA and has been dancing since she was 3 years old. She started as a competitive dancer at age 9 with Miss Tanya’s School of Dance. During her time at Miss Tanya’s, she became a student teacher as well. It was always her goal to be a full time teacher. In high school, she also trained with the Burncoat High School Dance Department in Worcester, MA. While in college, Brittany trained at Jeanette Neill’s in Boston, MA. At that time, she had joined Static Noyze Dance Company and Boston Community Dance Project. Brittany had moved to Orlando, Florida for the past two years to work for the Walt Disney World Company. There she had learned and experienced the Business and management field. Brittany learned not only did she have a passion for dance and the entertainment field but also the business side of everything. All of her journey leading back to her first dream, to become a teacher at Miss Tanya’s School of Dance. Through her many experiences of workshops, competitions, showcases, and performing she has learned teaching here is exactly where she wants to be. She hopes to extend her students education of dance and help them achieve their goals in the dance industry. Brittany is so happy to be able to share her passion and love for dance with her students and aspiring dancers. Brianna Sandrelli, a native of Fitchburg, MA, began her dance training at the age of 3 under the direction of local studio owners and teachers. At the age of 12 she began studying, more intensely, under the direction of Heather Armstrong Mahan, at Academy of Dance Arts, located in Leominster, MA. She was fortunate to work with instructors such as Rachel White Ball, Michelle Edgar-Enos, Jenny Bennett and Sandra Shea, on a weekly basis, as well as learn from a multitude of educator, at workshops and conventions, while immersing herself into various styles of dance, keeping her education of dance versatile and vast. In 2007 and 2008, Brianna was a member of a National Winning Competition Team, having received the highest scores for two consecutive seasons, at Dancers Inc. She found her true love for dance and choreography in these years and ventured into teaching upon graduating high school in 2008. In April of 2011 she took ownership of Academy of Dance Arts, prior to graduating from Fitchburg State University in January 2012, with a degree in Business Management, further expanding her knowledge and creativity to students. In July of 2014 she was the recipient of the “Then & Now” Hall of Fame Award given to her by Dancers Inc. Director Dan Barris, for being a former two time national champion and now accredited studio director and choreographer. In the spring of 2016, Brianna’s choreography began receiving a tremendous amount recognition from dance competitions, be awarded numerous Choreography and Entertainment awards, for various routines across many age groups. Her passion for creating and teaching has developed greatly in the past few years as she continues learn and grow as an artist. In June 2017, Brianna decided to close her studio and transition from Studio Director to a full time educator where she will be able to work with a larger scale of students and share with them her love for dance. She has continued to keep her education a priority as to always ensure proper training for both herself and students. Most recently she has completed certifications through Acrobatic Arts (both Module 1 and Module 2) to provide safer training, technical abilities and knowledge. Brianna is excited to share her passion for dance with the students of Miss Tanya’s School of Dance! Darrian DuVarney fell in love with dance at the age of 3. For as long as she can remember dance has been the driving force to her life. Her passion for dance has never left her side. She is extremely grateful to share that passion with her students. Darrian studied for 12 years under Loral Sims at Loral Sims School of Dance where she developed a strong passion for dance. While at LSSD, she earned numerous awards at regional and national competitions such as highest scoring solo, multiple young choreographer awards, and special awards for expression and musicality. She also attended conventions and took classes from outstanding choreographers such as Mia Michael's, Brian Friedman, Tyce Diorio, Stephen "tWitch" Boss, Allison Holker, and Kent Boyd. After graduating from high school, she received a 4 year full tuition scholarship for dance to Rhode Island College in Providence, RI. During her time at RIC, she was educated by Angelica Vessella, Eva Marie Pacheco, Adrienne Hawkins, Michael Bolger, and Kathleen Gordon Smith. Darrian also became a core company member and choreographer for Shadows Dance Art Experience, an innovative dance company comprised of talented dancers from all over Massachusetts. She then began dancing for the high energy entertainment company Boogie Nights, where she performed regularly for 2 years. From 2014 - 2018, Darrian was the assistant artistic director and competition coordinator for the Franklin Dance Workshop. In addition to Miss Tanya's School of Dance, she is currently teaching at the Massachusetts Dance Academy and Eleve Danse Centre. She teaches various styles of dance such as jazz, musical theater, lyrical, contemporary, modern, tap, ballet, hip hop, and acro. Darrian takes pride in providing a fun, positive, and upbeat learning environment with a strong focus on technique and quality of movement where students can express themselves and grow. She is enthusiastic and motivating with hopes that her students will leave class feeling accomplished and inspired.